Do you struggle with a constant battle of the wills with your kindergarten-age child? Is your child used to being the emperor in your home, and is this starting to cause problems? Teaching children to listen is difficult, and sometimes it can seem like it’s more hassle than it’s worth to enforce your word and teach your children that no means no. However, the consequences of NOT teaching your children to listen can be even greater. Here are some of our top reasons why it’s a great idea to train your child to listen (and act) when you need them to do something. Whether it’s getting buckled up in their car seat, coming when you call them, or learning new skills and knowledge, children need to know how to listen. Here are some of the pitfalls that will hold your child back if they don’t learn how to listen. Let’s say that you have come up with a fun learning plan that will build your child’s abilities in a certain area, but your child won’t cooperate. It’s no fun for either one of you if your child is constantly at loggerheads with your plans. Your fun plans could end up being a fight rather than the awesome, relationship-building exercise that you envisioned. This prevents your child from discovering that learning with you is fun! 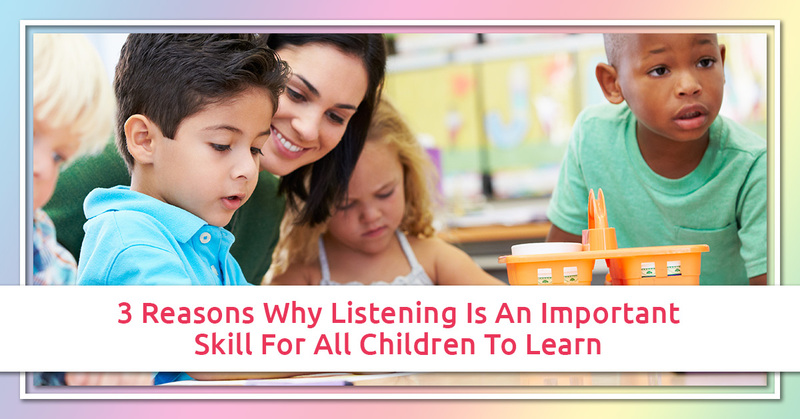 If your child is not in the habit of listening to you, there are situations where this could put them in real danger. For instance, most children put up a fuss and resist their parents’ efforts to buckle them into their car seat. However, if you give in and you get hit by a car when they’re not buckled in, they could be much more seriously hurt than if they were buckled in safely. Once you’ve established that buckling their car seat is an automatic thing, they’ll stop resisting you and go along with it. Even more dangerous is the child who doesn’t come when called. What if they don’t stop when you see they’re about to run out in front of a car? They are too young to understand all the reasons why you might be calling them, but they are old enough to listen and respond when you call their name and tell them to stop. Not sure how to train your child in this way? Stay tuned for our next blog post when we’ll cover some tips for how to do this. The relationship you have with your child is one of the most priceless treasures that you have. However, if your child is not trained to listen, many of your interactions with them can end up leaving you frustrated and your child upset. One of the most powerful things that you as a parent can do to preserve a healthy, nurturing relationship is to establish that you’re in charge and teach them (with unending patience and love mingled with firmness) to trust you and listen to what you say. If your toddler or preschooler is used to being in charge, you might have to endure a tantrum or two where you don’t budge, but once you break through this wall, everything will stop being a battle of the wills. Your relationship will benefit tremendously as you have a happy, well-adjusted child. Here at Rainbow Chimes, we care about your child’s well-being, and we provide a safe, caring environment where your child can learn and grow. We transform daycare! Start the enrollment process today.